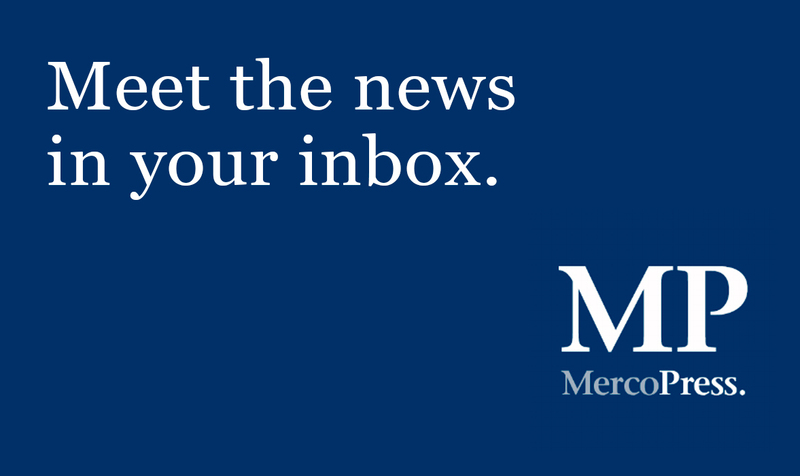 MercoPress is an independent news agency started in 1993 which focuses on delivering news related to the Mercosur trade and political bloc, and member countries, covering an area of influence which includes South America, the South Atlantic and insular territories. Based in Montevideo, Uruguay, it leverages the city's double advantage of housing the administrative headquarters for Mercosur as well as being a historic natural port of access to the South Atlantic and the vast marine and mineral resources of an area locked by Africa, South America and Antarctica. With this purpose MercoPress offers an update of the main events which model the Mercosur integration process, the current customs union, its influence on the main players of the region as well as the relations with other economic-political spaces. Particular attention is given to developments in the South Atlantic. Mercosur, Mercado Comun del Sur, (Common Market of the South) can be defined as an ambitious economic and political integration project which at present, is made up of the four founding countries from 1991: Argentina, Brazil, Paraguay and Uruguay and since 2012, Venezuela. Bolivia and Ecuador are in the process of joining the group, while Chile, Colombia, Peru, Guyana and Suriname are associate members. Mercosur ranks as the world's fifth largest GDP with inter-trade soaring from 10bn dollars in 1991 to 88bn in 2010. The bloc has free trade agreements with Israel, the Palestine Authority and Egypt, and ongoing trade and cooperation negotiations with the European Union, and less advanced ones with China, India, Cuba, Korea and Austral Africa Customs Union, among others..
Mercosur says members share "a communion of values which is expressed in democratic, pluralist societies, support of fundamental freedoms and of human rights, protection of the environment and sustainable development as well as a commitment to consolidating democracy, legal certainty, combating poverty and promoting economic and social development with equality". In the economic and commerce field the bloc promotes the free transit of produced goods, services and production factors among member states. This includes the elimination of customs rights and lifting nontariff restrictions on the transit of goods. Fixing of a common external tariff (CET) and adopting a common trade policy with regard to nonmember states or groups of states, and the coordination of positions in regional and international commercial and economic meetings; coordination of macroeconomic and sector policies of member states relating to foreign trade, agriculture, industry, taxes, monetary system, exchange and capital services, customs, transport and communications. Mercosur is ruled by the Common Market Council (CMC, Consejo del Mercado Común), which is responsible for the political decisions of the integration process. Sitting members are the members’ Presidents and their cabinets, who regularly meet twice a year (rotating the host country). A step below stands the Common Market Group (GMC, Grupo Mercado Común), the executive branch which is made up of the Ministers of Foreign Affairs, Ministers of Economy and Central Banks’ presidents, plus permanent coordinators from each member country. GMC branches out into the Trade Commission of Mercosur (which is responsible for counseling and enforcing trade policies’ instruments as well as guidelines), the Joint Parliamentary Commission (in representation of elected Parliaments), the Economic and Social Consultation Forum (with representatives from the different economic and social groups) and finally, the Administrative Secretariat in Montevideo. A Mercosur Parliament was officially inaugurated December 2006 in Brasilia and in the first phase has 18 representatives from each member country, nominated by local parliaments. Hopefully, by 2014 it will be elected by universal, direct ballot and have some legislative powers binding the group.The five member countries hold a population of 275.5 million (Brazil 188M; Argentina 40M; Paraguay 6.5M; Uruguay 3.4M and Venezuela, 28M); a total area of 12,708,970 square kilometers and a combined GDP of 3.324 trillion US dollars. This is equivalent to 82.3% of South America's GDP and means seven out of ten South American are Mercosur citizens.